Please note: you must be an NAEP Member in order to subscribe to News for the Environmental Professional. 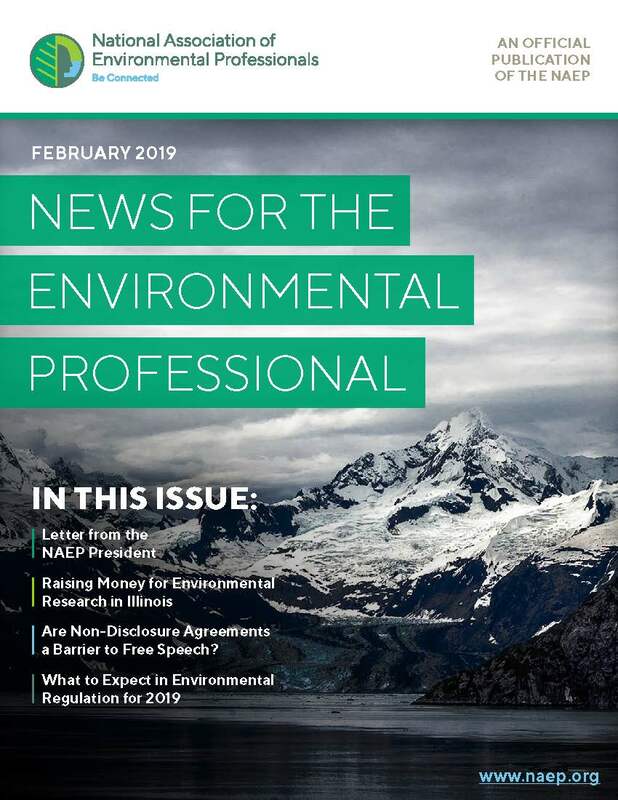 The official NAEP E-Newsletter, News for the Environmental Professional, aims to provide stimulating research and commentary on significant environmental issues, and publishes papers that reflect the highest standards of professional work on questions linking environmental science and policy. The E-Newsletter is published by NAEP in February, May, August, and November. If you have any questions, please direct them to [email protected]. Want to Submit an Article for the Next Newsletter?